McAllen High celebrates with fans after defeating Austin Lake Travis in the Class 6A regional final match Saturday, April 14, 2018, at Blossom Athletic Center in San Antonio. McAllen High won the match 1-0. 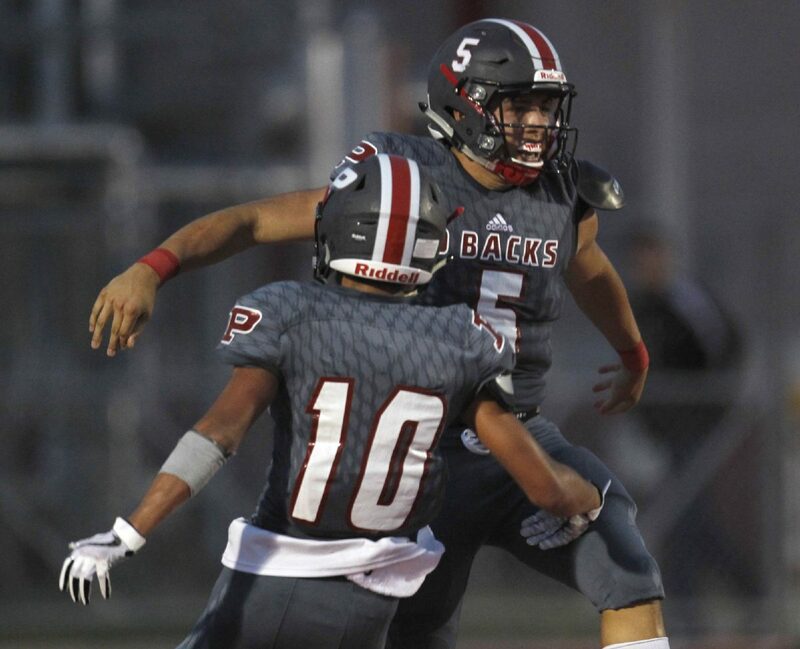 The nominees for Class 6A and Sub-6A Program of the Year were highlighted by some of the deepest playoff runs in school history and anchored by consistency across all sports. 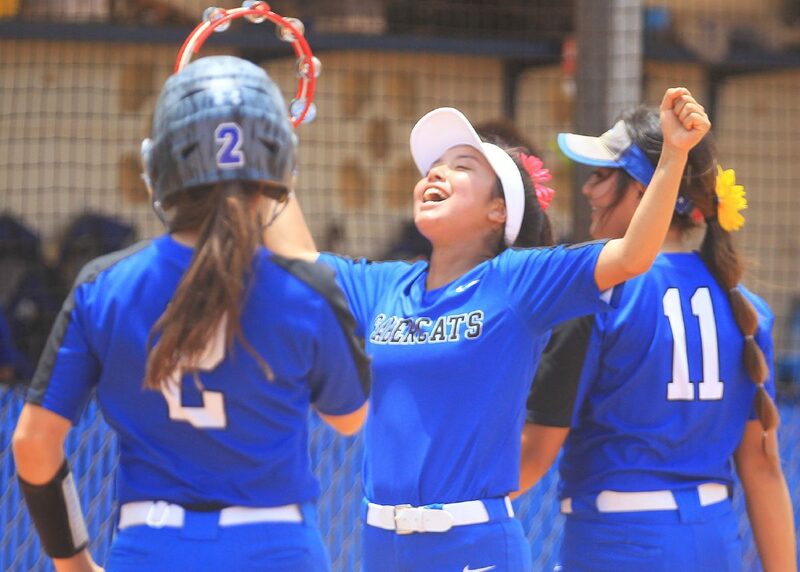 Edinburg Vela's Katherine Montero (8) celebrates as Vela takes the lead 3-2 in the fifth inning against San Antonio Warren in a Region IV semi-final game held in Hubert field at Texas A&M-Kingsville University Saturday, May 19, 2018 in Kingsville. 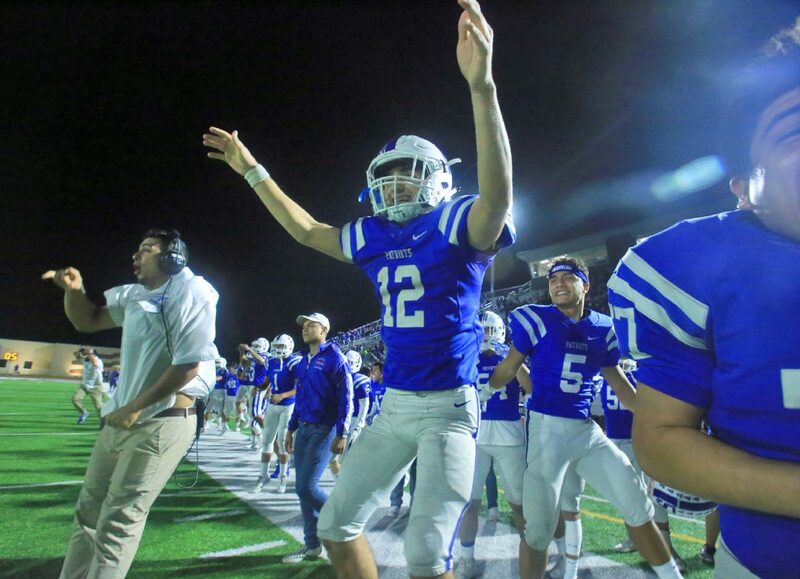 Mission Veterans quarterback Landry Gilpin (12) celebrates in the final seconds of the fourth quarter in a bi-district game against Brownsville Lopez at Tom Landry stadium on Fri., November 17, 2017, in Mission. >> Edinburg Vela: The SaberCats’ girls basketball, volleyball and softball teams were playoff-bound. The football team advanced to the third round of the playoffs after a district-title winning, undefeated regular season. The boys basketball team finished second in the district during what was supposed to be a rebuilding year and advanced to the area round. The SaberCats softball team reached the fourth round of the playoffs for the first time in program history. The SaberCats baseball team won its first ever district title and advanced to the playoffs. Vela golfer Ethan Galvan won the district tournament to advance to regionals. >> Los Fresnos: Los Fresnos earned several postseason berths, including in football, volleyball, boys and girls basketball, and boys and girls soccer. The boys basketball, baseball, girls golf, and boys and girls swimming teams won district titles, and both swimming teams had representatives at the state meet. The boys and girls track and field teams both had members qualify for regionals, and the girls had a hurdler qualify for the state meet. 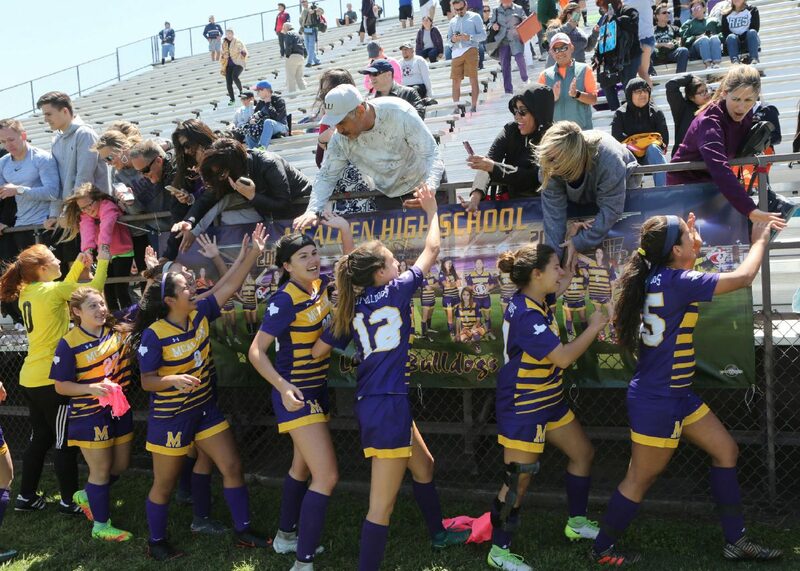 >> McAllen High: The Bulldogs girls soccer team became the first girls team in Valley history to advance to the state tournament. McHi’s volleyball team put together another 30-win season and playoff appearance under coach Paula Dodge. The boys basketball team qualified for the playoffs with a second-place finish in district. The baseball team rolled to an undefeated district season and another district title and was ranked No. 1 among 6A teams in the state by TexasHighSchoolBaseball.com. The boys golf team advanced to regionals, and Lucas Abbott finished second at the District 30-6A tournament, leading his team to a second-place finish. >> Brownsville Veterans Memorial: Brownsville Veterans earned district titles in football, volleyball, girls basketball, baseball, softball — which advanced to the regional quarterfinals again this season — and girls golf, which advanced to state for the second consecutive year. The Chargers earned postseason berths in every sport again this year, including the boys soccer team that advanced to the regional final for the second straight season. >> Lyford: Lyford is one of the smaller athletic programs in the Valley. The volleyball team qualified for the playoffs and went two rounds deep. The girls basketball team won a district title and also went two rounds deep. The boys basketball team made the playoffs. The football team won a district title and went two rounds deep. Both the boys and girls tennis teams advanced to regionals, as did the school’s golf teams, with the boys team reaching the state tournament. The baseball team was also playoff-bound, and the softball team won a district title. >> Mission Veterans: The Patriots football, volleyball and softball teams all won at least a share of their district championships. Football, girls basketball, softball and volleyball advanced to the area round of the playoffs. Mission Veterans golfer Steven Hinojosa finished sixth at the district tournament to earn a trip to regionals. >> Sharyland Pioneer: The Diamondbacks football, volleyball and softball teams all qualified for the playoffs. Sharyland Pioneer volleyball advanced past Edcouch-Elsa to reach the area round for the fourth time in four seasons. The Diamondbacks baseball team made its first playoff appearance in school history, ending the season in the area round. Pioneer boys swimming won a second straight 31-5A championship. The Pioneer boys golf team won the District 31-5A tournament to advance to regionals. The girls golf team took second at the district tournament and advanced to regionals, where it placed fifth, just missing the cut for state.